Looking for a Bus to 3 Arena Concerts? 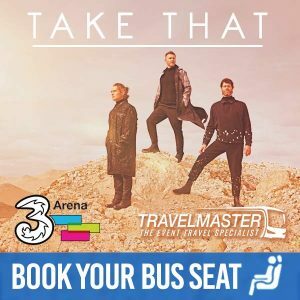 TravelMaster provide a fast, simple online booking system and will take you to direct to the 3 Arena. 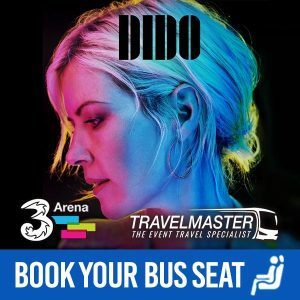 TravelMaster offers the most direct bus to 3 Arena concerts. First of all, our coaches will drop you right outside the 3 Arena and the bus will collect you outside again after the concert is finished. Furthermore, We pride ourself on ensuring our bus passengers travel direct to the 3 Arena and back safely and in comfort.